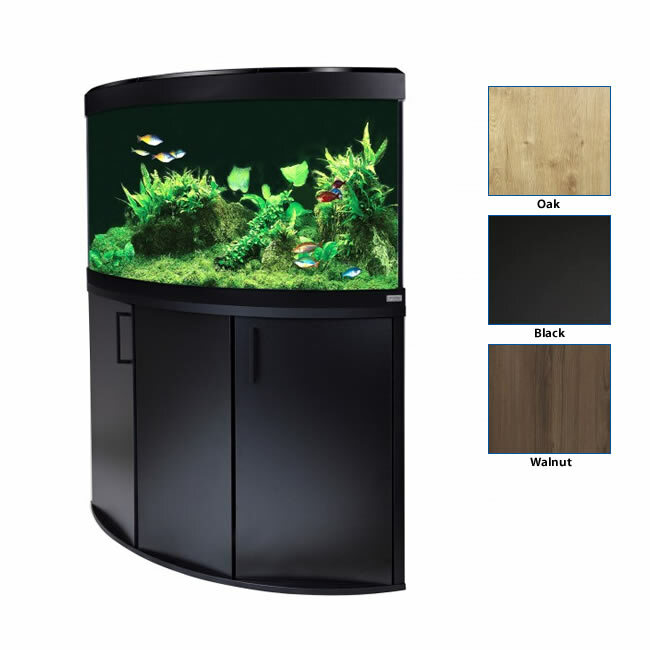 The beautiful Fluval Venezia LED corner aquarium has been re-transformed with new eye-catching DNA aesthetics including its elegant flowing curves and graceful bow-fronted shape to create the illusion of depth. The Fluval Venezia brings quality and beauty to the forefront of the design, incorporating the fun and vibrancy of an extraordinary underwater world, into a modern design that is shaped to sit in a corner of your room and make use of what otherwise would be wasted space. The Venezia LED comes as a complete kit with filtration, LED lighting and heating all included and ready for easy set-up.